Do Your Employees Think You're Accessible? - Pharos Alliance, Inc.
Do Your Employees Think You’re Accessible? We all have those days of burying ourselves in emails, shutting our office doors, or answering call after call. On those days you’d probably prefer to be left alone in order to be productive and efficient. As a leader, doing your job is important, however, part of your responsibility is to be there for your employees.Employees may hesitate to ask for help or “bother” their boss. They may feel fearful that they will be perceived as weak or ignorant, or simply feel their questions or concerns are not as important as your work. How can leaders open the door to welcome these questions? 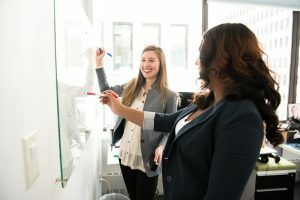 There are several routes you could take to change this employee/leader dynamic but here are two simple suggestions that can make a difference. Set aside “office hours”. Go back to the basics and set aside an hour a day when you are available to meet with employees. If no one comes in right away, use this time to catch up on simple emails or other low pressure tasks. You might have no visitors on some days, but at least your employees know they are not inconveniencing you if they do decide to stop by. Manage by walking around. Walk around the office and talk to employees, especially those with whom you haven’t had personal contact in a while. Simply ask how things are going with their current projects. Remind them that you are available to brainstorm or answer questions when they need you. Hold yourself accountable to this by setting a calendar reminder to do this regularly. Keeping the lines of communication open will help your company grow in the long run. When you take the time to interact with your employees and welcome their questions, you can shift the culture to a more open and collaborative one. ← What Happens When a Good Decision Goes Bad?